CONDO was founded in 2016 by Carlos/Ishikawa owner Vanessa Carlos who recognised the creative and financial limitations of art fairs for many galleries. She set up the series' first iteration CONDO London. Unlike many art fairs, CONDO does not have a strict rulebook for galleries to adhere to. Hosts and visitors have the option to co-curate or to have adjacent shows independent of one another. The platform has spouted collaborations between far-flung galleries that would otherwise be impossible such as Bureau’s (New York) co-curated exhibition with Hopkinson Mossman (Auckland/Wellington) and Kristina Kite (Los Angeles). Together the gallery trio produced a contemporary pop exhibition featuring seven artists, the majority of whom appropriate Americana imagery. The sculpturally dominant exhibition riffs on pop art sensibilities, as seen in Amy O’Neill’s repurposing of Halloween costumes and military bags into the likes of beanbags, Fiona Connor’s immaculate replication of a community noticeboard and Tom Holmes’ acrylic swathed canvases of the Jell-O packaging. Courtesy of the artists, Sadie Coles HQ, and Simone Subal Gallery. Installation photography by Dario Lasagni. Other harmonious collaborations include Simone Subal Gallery (New York) who hosted Sadies Coles HQ (London). The two-person exhibition features innovative video sculptures as well as works on paper by Anna K. E. and is laced with oil on linen works by Daniel Sinsel. Not only do the artists’ palettes work aesthetically, but K. E.’s artworks explore the spatial expansion of the two-dimensional form, while Sinsel’s textured paintings, through frayed edges and vibrant patterns, seek to extend themselves beyond the framing of the canvas. Although not all hosts and visitors work together on joint exhibitions, the pairings of galleries show particular consideration for shared artistic concerns. 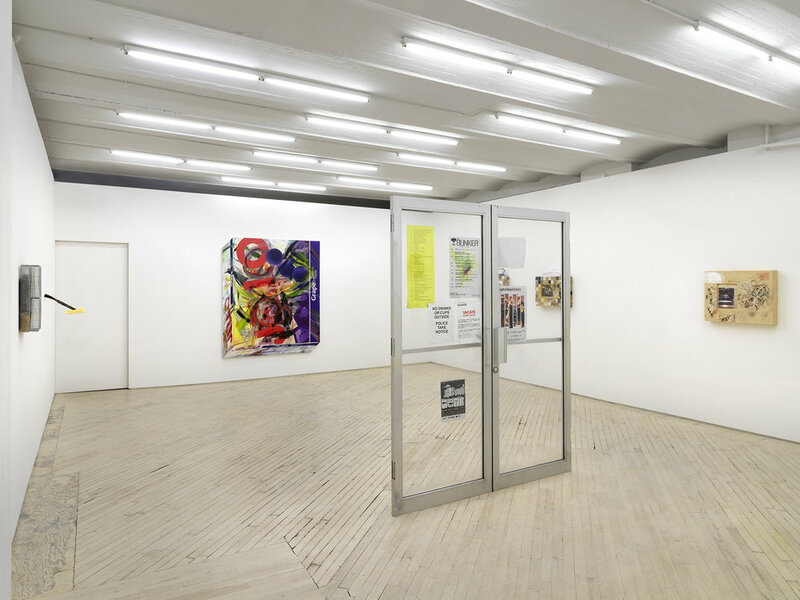 For example, the Lower East Side JTT Gallery continued their routine summer programming in their main space with a group exhibition curated by Dan Herschlein exploring works that challenge socially prescribed identity ideals. Meanwhile, in the backspace they hosted Rome and Vienna-based Galerie Emanuel Layr who put together a solo exhibition of artist Benjamin Hirte. Despite the exhibitions being independent of one another, Hirte’s study of semiotics, language and the notion of subscribing to an identity based on aesthetics rather than information operates as a slant rhyme to the main exhibition. In just three years the CONDO initiative has expanded from its London birthplace to New York, Mexico City, São Paulo, and Shanghai. Through its shoestring overhead and emphasis on community and collaboration, it is both a refreshing and viable option for younger galleries looking to broaden their presence internationally. Furthermore, it provides an exciting treasure hunt for art lovers in what is often an idle season across the contemporary art world.